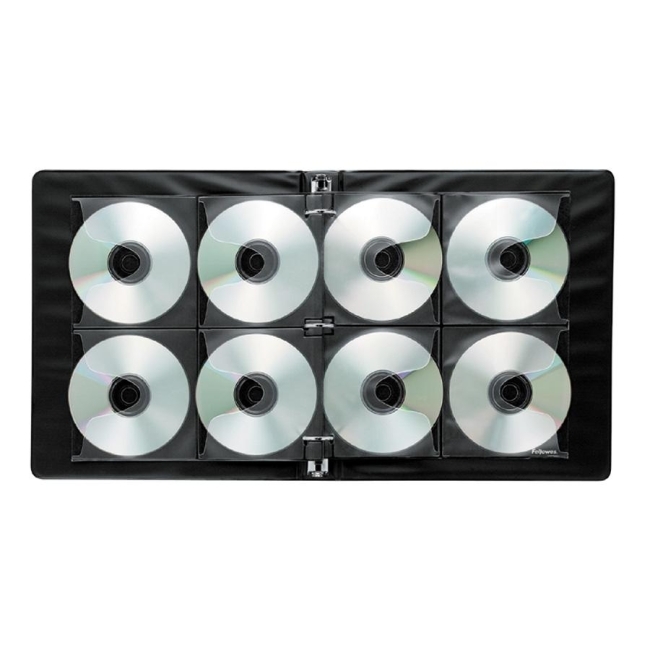 Loose-leaf sheets for three-ring binders store and protect eight CDs/DVDs per sheet (four each per side) without jewel case. Clear vinyl allows titles to show through for easy identification of media while soft black backing material shields CDs and DVDs from dust and dirt. 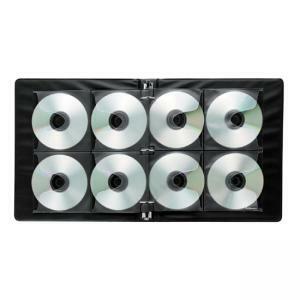 CD/DVD binder sheets fit any standard three-ring binder.